New Plan of Attack or Same Old Drill? Rob O’Neill Offers Expert Analysis. Recently President Obama took to the podium at the Pentagon. The subject: The United States’ plans to address to the growing anarchy in Iraq and rapid insurgence of ISIS. One thing was clear. There will be “no boots on the ground.” What Obama did call for: “securing partnerships” in the region. 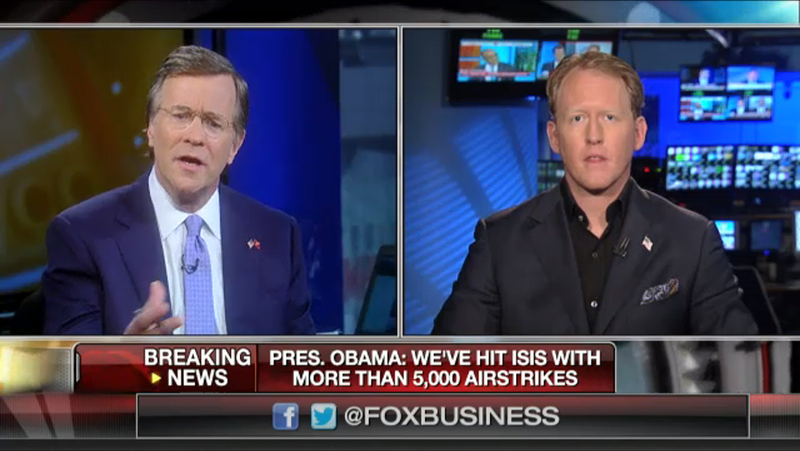 In the minds of many, including former Navy SEAL Robert J. O’Neill, that’s just not enough. Right after President Obama wrapped his brief speech, O’Neill wasn’t shy about sharing his reaction. He sat down with FOX Business anchor David Asman on After the Bell to voice his thoughts.